Here’s a view to the left of the fountain above. 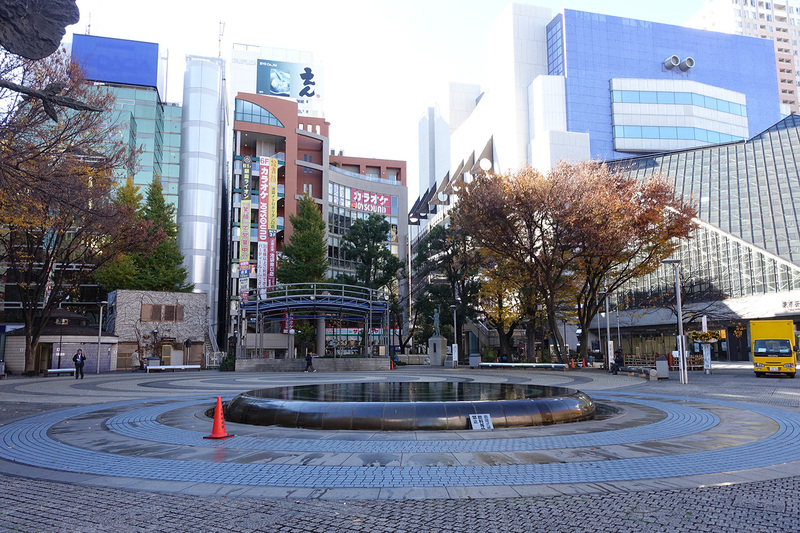 Here is a view to the right of the fountain. Here is where I was on Google Maps. 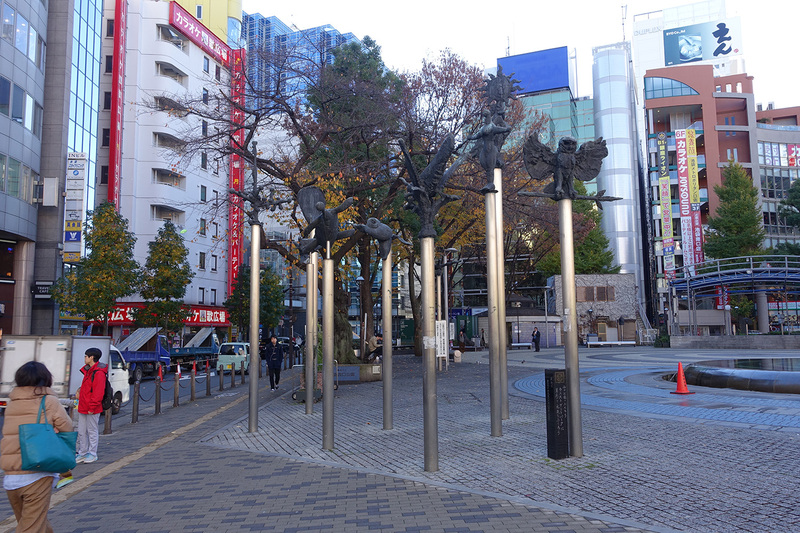 After spending some time in the park and smiling like a loon because I recognized things from Durarara! 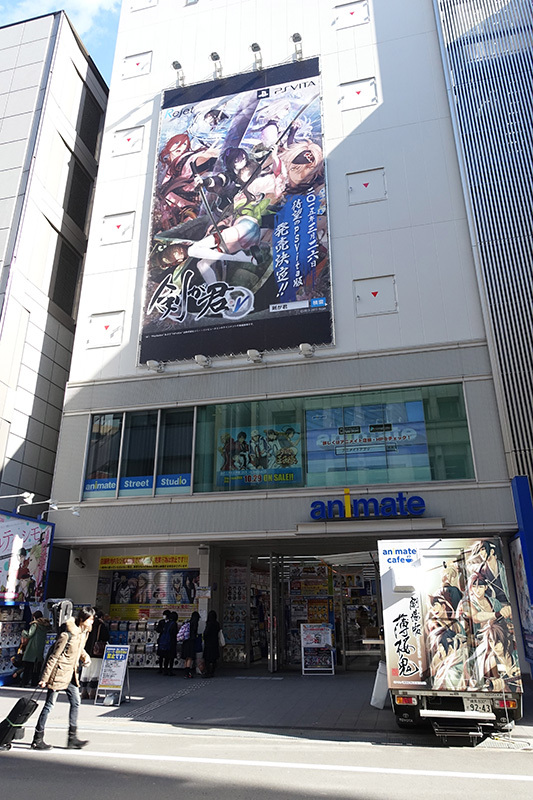 !, I meandered through side streets towards the Animate store. On the way I had to cross the railway tracks as the store was on the opposite side of the station. 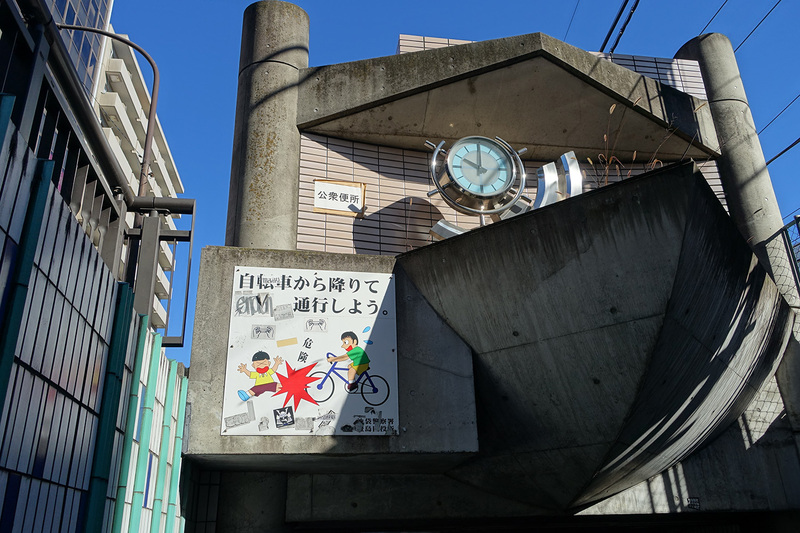 I decided to take a pedestrian underpass and found a sign warning cyclists that people may be sitting in the tunnel so cyclists had better watch out. Ok, moving on. 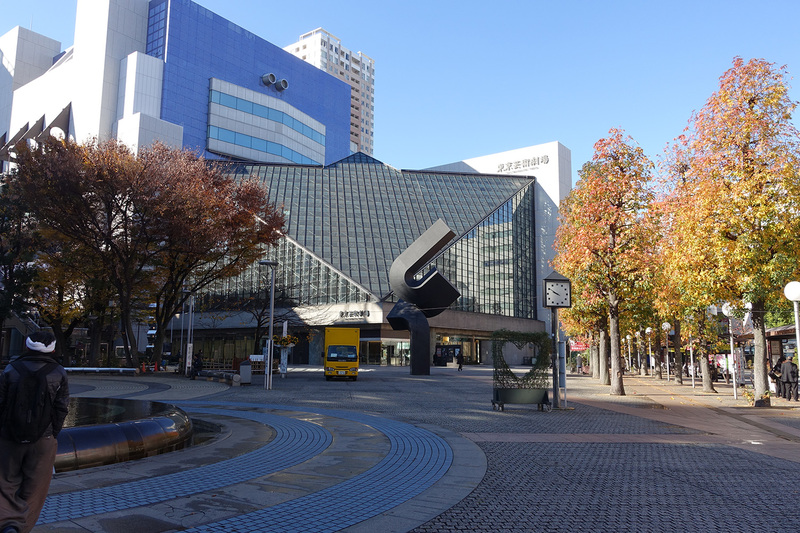 Which I did, too, until I arrived at the Ikebukuro Animate store. I arrived about 5 minutes after the store opened yet I wasn’t the first customer by any means (didn’t want to seem overeager 😉 ). 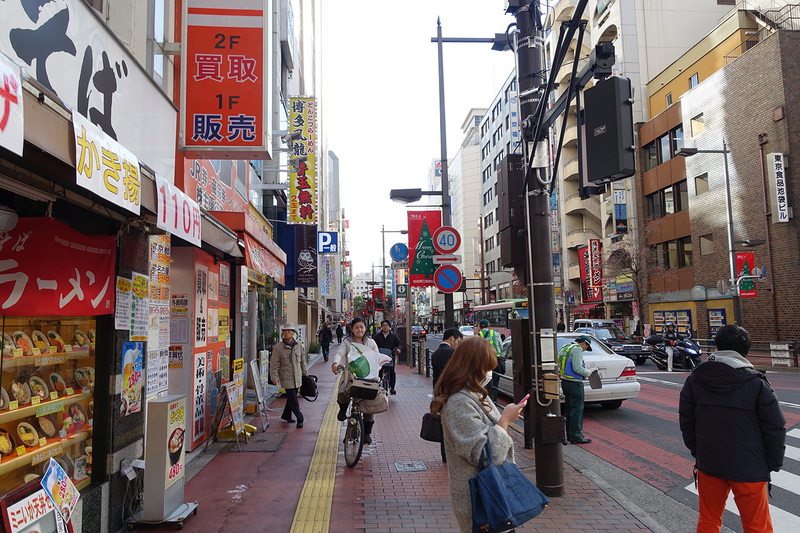 The photo above was taken when I left the store. That was 2 hours after I entered it. Yeah, I spent a lot of time there. 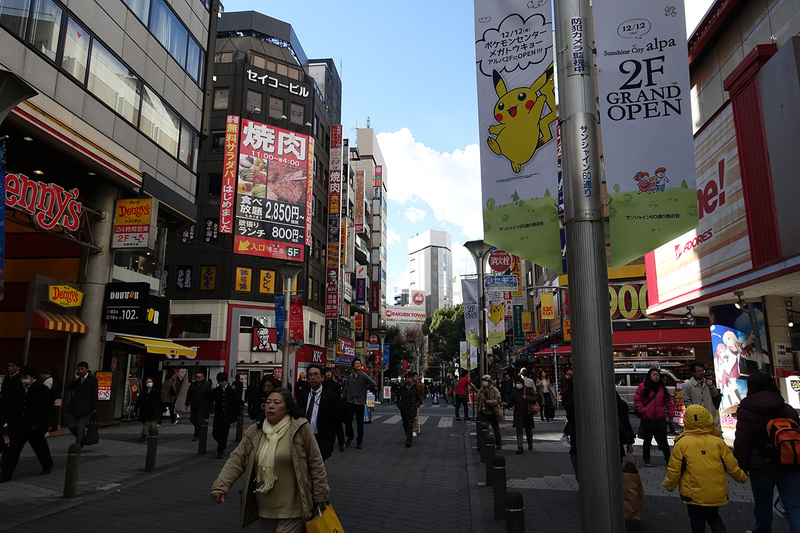 I could have spent more but I wanted to see a bit more of Ikebukuro and meet up with my traveling companions. I’ll just say that I prefer this store to the one in Akihabara as it isn’t as cramped (more than one person can easily fit in the aisles!) and has a great selection of the sorts of things that I like, which makes sense since this one caters to female anime/manga fans. 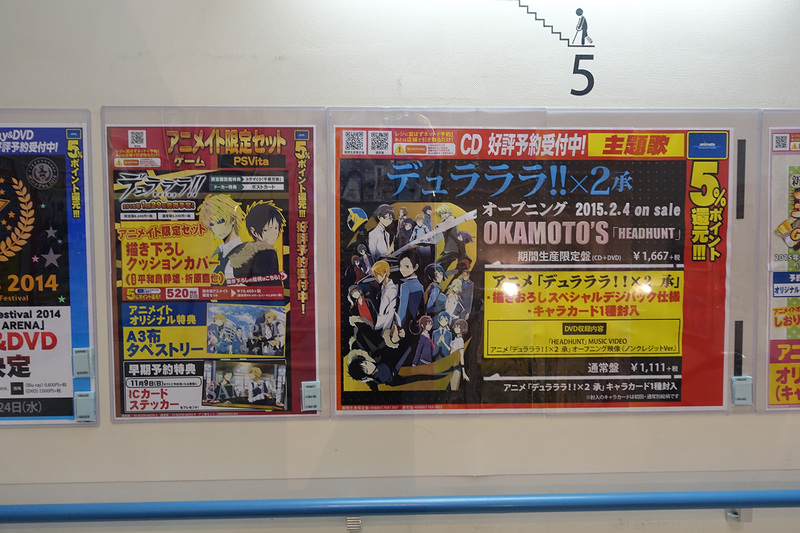 I found this ad in Animate for Durarara! !, which is coming out with a season 2 (and video games) and I’m hoping the new anime will be as good as the first season, which I loved. 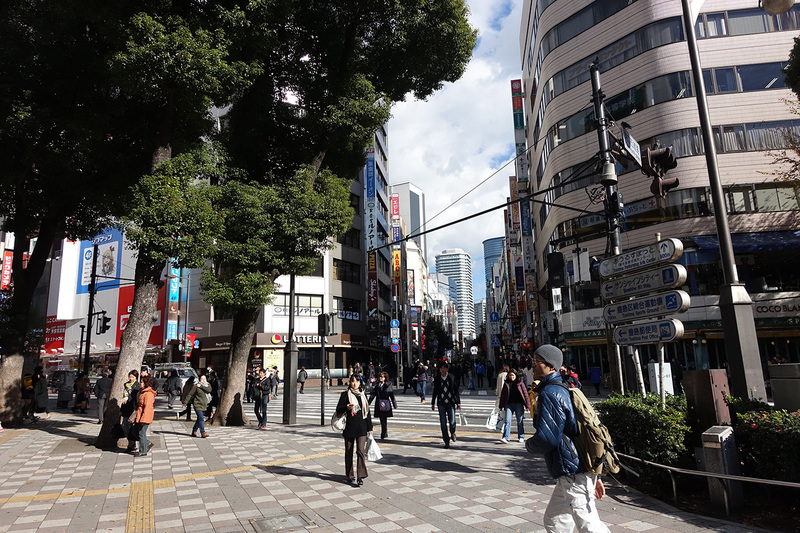 My friends had finally made their way to Ikebukuro so I walked through the city to meet them. 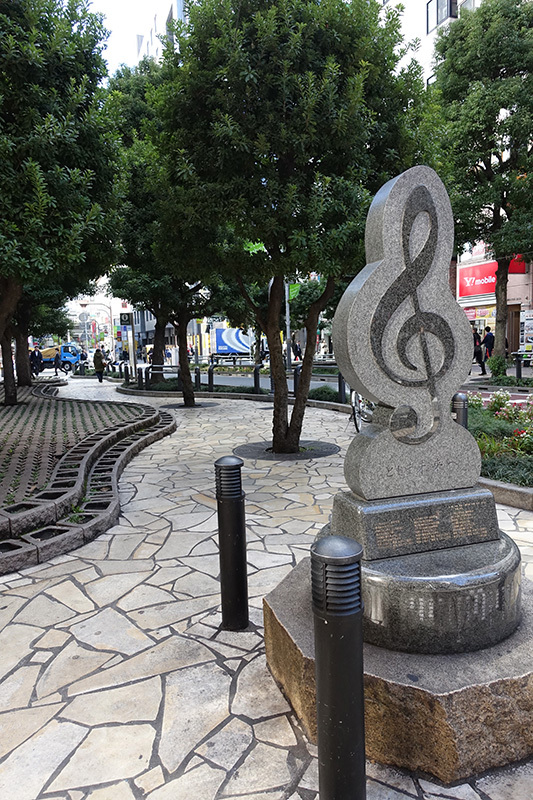 Along the way I found the Treble Clef sculpture that is seen in the first intro to the Durarara!! anime (yay!). The city had woken up by the time I walked through and it was great to see it so alive. I really like the patches of trees and greenery sprinkled throughout the city. 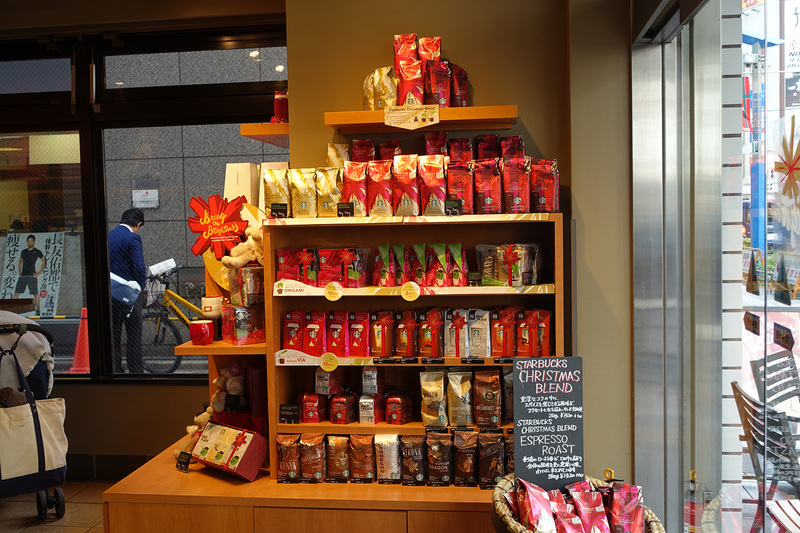 I met up with my friends at a nearby Starbucks and was pleased that the coffee and atmosphere were just like home. 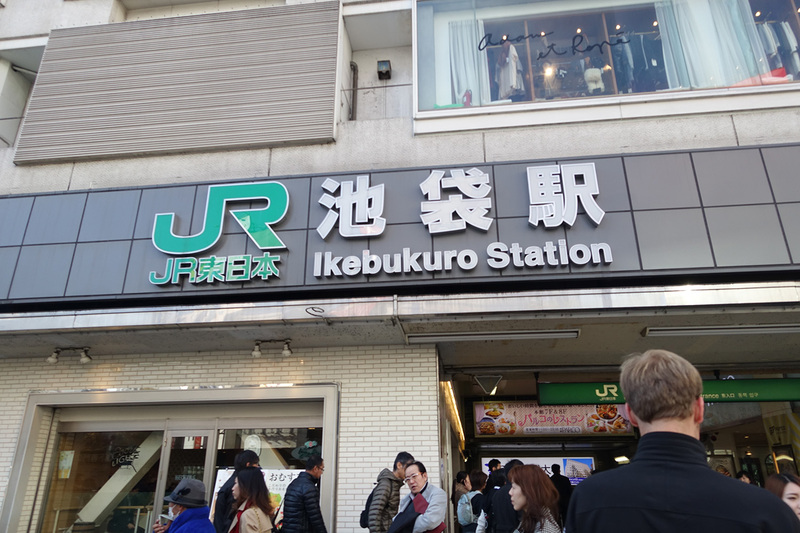 The odd thing about Starbucks and Ikebukuro is that the Starbucks app lists only 1 branch in Ikebukuro but I passed at least 3 on my way to meet up with my friends. I Googled for them as well and, again, only 1 came up. Weird! One of my friends wanted to check out the prices of electronics to see what bargains he might find due to the weakness of the Japanese Yen against the USD so we headed to Bic Camera, a huge electronics store located near the station. 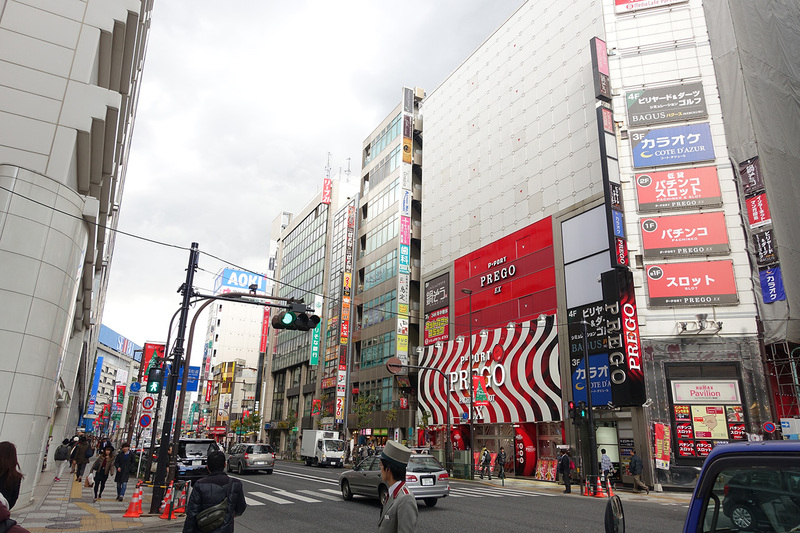 On the way we passed by huge stores and high-rises filled with smaller shops. Here is another view closer to the station. Bic Camera had a huge selection and we decided it would be best if we did a bit of research on what we wanted and the prices in the US before making any purchase so we walked around a bit more before heading home. One shop across the way had a huge mobile phone plastered on its facade. Drivers are also very mindful of cyclists and give them room when passing them on the streets. I can understand why there are so many cyclists in the city! 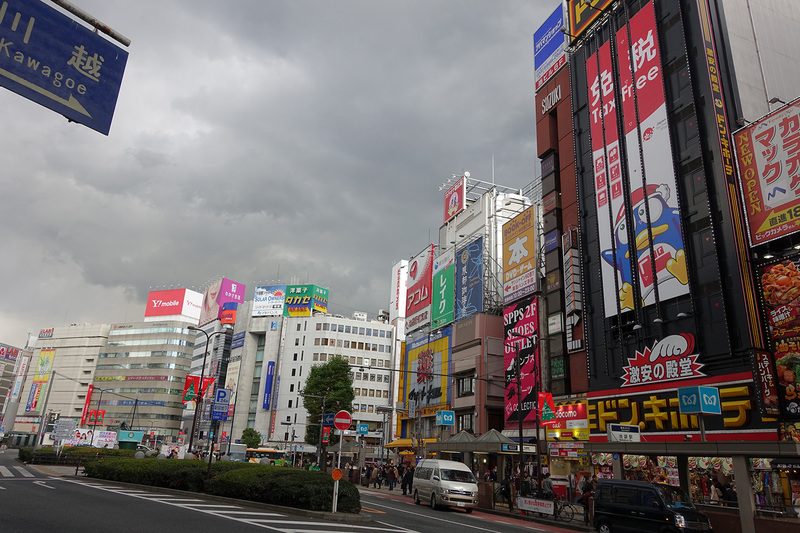 And with that, we headed back for the station and Roppongi to deposit our purchases and rest a bit before heading out again for more explorations. I’ll pick up in the Part 2 post coming up, which will be short and a bit of a culinary adventure.